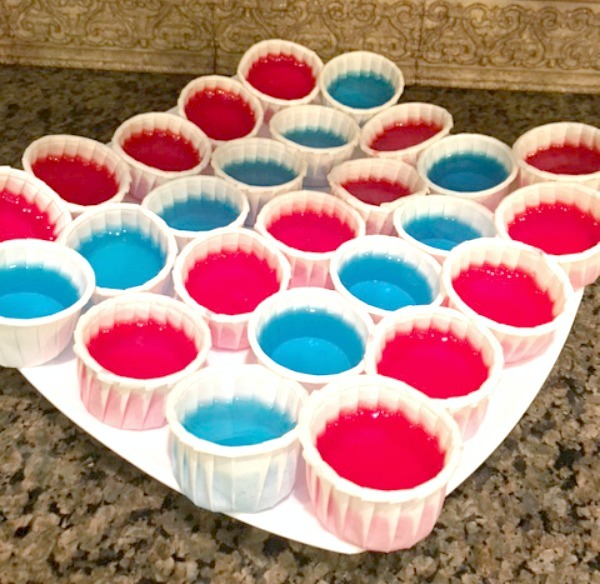 These “Adult Only” Jello shots are refreshing and delicious. Made with only 3 ingredients. Enjoy! Thanks to my friend Nicole for inviting my family to one of her many fabulous BBQ s. She had these waiting for the adults when we arrived. Now I make them when we have company. 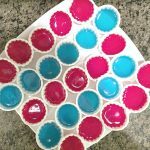 These fun and refreshing treats are for ADULTS ONLY Takes only a few minutes to prepare and after chilling, they are ready for a fun party. **Remember to keep away from the kids. In two heat proof bowls (If you are using different colors, otherwise use one large bowl) Pour boiling water over dry Jell-O. In place of cold water use cold vodka. Pour into little cups, found at crafts stores. 1.In two heat proof bowls (If you are using different colors, otherwise use one large bowl) Pour boiling water over dry Jell-O. 2.In place of cold water use cold vodka. 3.Pour into little cups, found at crafts stores. 4.Place in fridge until set.